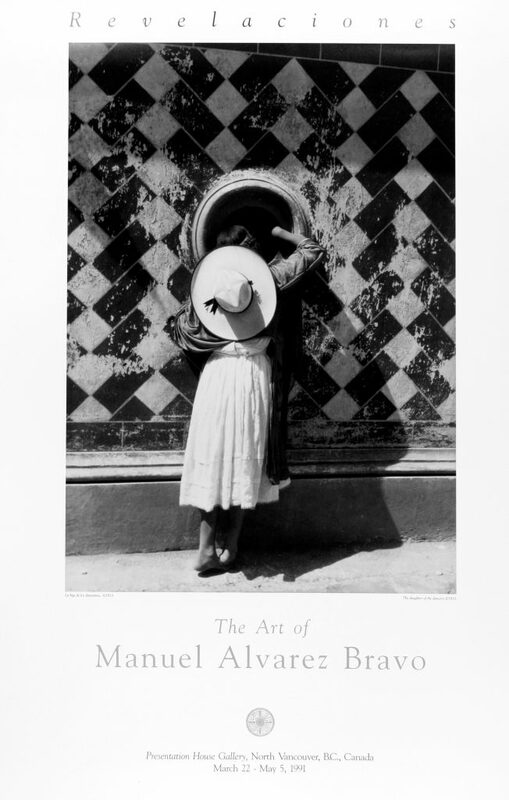 Considered one of the greatest photographers of this century the retrospective of 113 black-and-white photographs surveys Manuel Alvarez Bravo's work since the 1920s. Alvarez Bravo's style is rooted both in Mexican history--with its pre-Columbian and Spanish mix of religious and pagan symbols--and in European art history, particularly surrealism. The Mexican artist layers his works with sensuality, politics and life and death. The touring exhibition is accompanied by a publication with essays in Spanish and English. Organized by Arthur Ollman, the executive director of The Museum of , along with Nissan Perez, curator of photographs at the Israel Museum in Jerusalem. Organized and circulated by The Museum of Photographic Arts, San Diego, and made possible by American Express Company. Sunday, April 14, 8 p.m | Gerardo Alcala, Flamenco Guitar. Tickets: $12 / 10. Limited seating. Supported in part by the Canada Council. Sunday, April 21, 8 p.m. | Music In The Gallery, with the Pro Nova String Quartet, and guest George Zukerman Bassoon. Poster for the exhibition "Revelaciones"